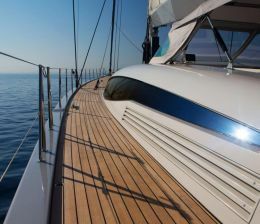 The yacht building industry has entered an unprecedented period of experimentation of new materials for use in the fabrication of what were once called classic wooden hulls. Those of us who have been around the boat building scene for a while have seen a lot o f new ideas and materials come and go over the years. Some have met with success, but most have disappeared with failure, or one way or another have proven o be unsuitable for yacht building production line boats. When we look at the yacht building industry, we find a new term being introduced to define what we once called a plain fiberglass hull, “composites.” Composite merely means the combination of two or more materials to make a hull. Fiberglass is a combination of plastic resin and glass fibers, is a composite. in the marine industry, composite materials increasingly comes to mean the use of a third material, a core material such as balsa or foam. 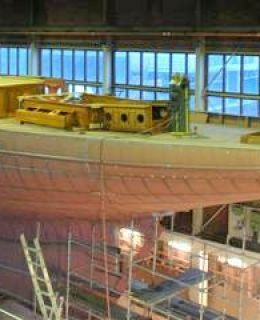 Where balsa foam or namely diab sandwiched with fiberglas coats in both sides. 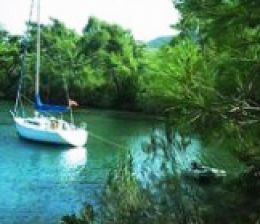 Boat buyers should be aware of several important points when considering the purchase of a new boat. The first is that new resins, reinforcements and core materials are being developed at an unprecedented rate. Industry magazines and trade shows are promoting new materials. Foams laced with plastic and aluminum honeycombs, new arrangements of glass fiber reinforcements and finally carbon kevlar combinations and furthermore endless array of new weaves and fiber configurations, plus a wide array of new plastic resins and chemical additives are being widely promoted. The second point is that the Gulet building industry as a whole, performs very little research and development into the materials it selects and utilizes for hull construction. It is important to understand that trying a totally new material is extraordinarily expensive and take as long as 3 to 5 years to test and prove the application of new materials. Because of the extreme cost, the past history of the industry has been to try a new material first and ask questions later. Over the years, numerous builders have incorporated untried, untested materials in their product lines, thus making guinea pigs of their customers. 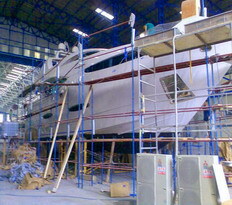 and it is this lack of consideration that, in the past, these materials has been responsible for so many of the hull failures that have plagued the industry Proven for centuries the natural fiber of wood products still happens to be the favourite of most yacht building companies for ease of handling, repair and combinations of epoxy resin laminations have taken wood far beyond other new generation yacht building materials.